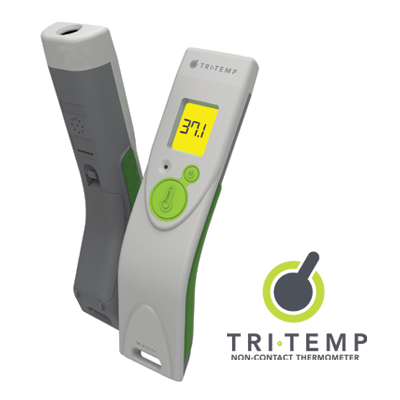 TRITEMP™ is a new non contact infrared thermometer for clinical use, giving easy, fast and accurate body temperature reading. Designed in the UK, its ergonomically designed angled head ensures optimal orientation for sensor alignment, easy of use and user comfort. 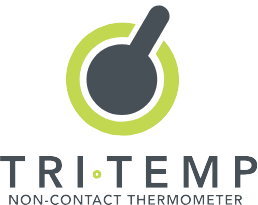 TRITEMP™ requires ZERO probe covers, offering up to x 5 cost savings when compared with other types of thermometers used in hospitals today. 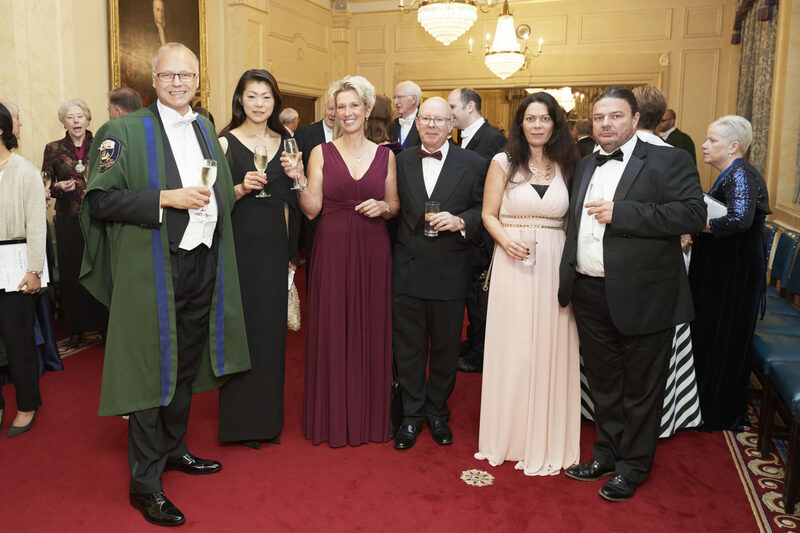 A recent government initiative in the UK has identified 17 Global Digital Exemplars (GDEs), that will provide care through the use of digital technology for a better patient experience. TRITEMP™ will enable hospitals to eliminate the use of plastic consumables in temperature measurement which could represents a reduction in over 150,000,000 plastic caps disposal to hospital waste every year. This benefits the hospital due to reduced plastic disposal costs, better infection control due to reduced volumes of contaminated waste and time efficiencies as it removes the need to stock plastics consumables, both for the in-hospital and remote/telehealth use.